Living in a world where there are just so many food choices can make snacking difficult at times. Sometimes we may crave snacks that are sweet, and other times we want the salty goodies. Other times a juicy peach, or crunchy apple, does the trick. Regardless, I have found that munching on healthier snack bars really helps to curb my unhealthy cravings. Over the past few years I have tried pretty much every snack and meal replacement bar on the market. Some taste like cardboard, and others are actually worth the price paid. The latest variety of ZonePerfect Perfectly Simple bars I recently purchased from my local Target fall into that delicious, and well worth the money categories. Honestly, they all sounded and looked great, but I love toffee candy and was hoping the Almond Toffee Crunch flavor would help satisfy my candy cravings. There is nothing worse than caving into a sweet treat craving only to feel worse off than before after eating it. 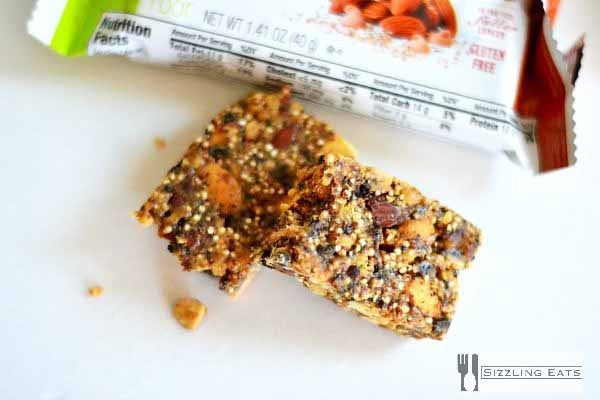 Thankfully, the ZonePerfect Almond Toffee Crunch bars did make me “Feel Gooder” because they are actually jam-packed with nutrition verses empty calories. Actually each bar only has 200 calories or less making it a wonderful choice! Plus they are loaded with filling protein, and are gluten-free which is important to our family. Each box is around $6 for 5 bars, but you can save $1 on your next ZonePerfect Perfectly Simple purchase by printing this coupon. That means you can score a great deal on some “feel gooder” snack bars! I keep some in my purse, office, and car to avoid last-minute possible drive-through trips! Be sure to print your ZonePerfect coupon here. 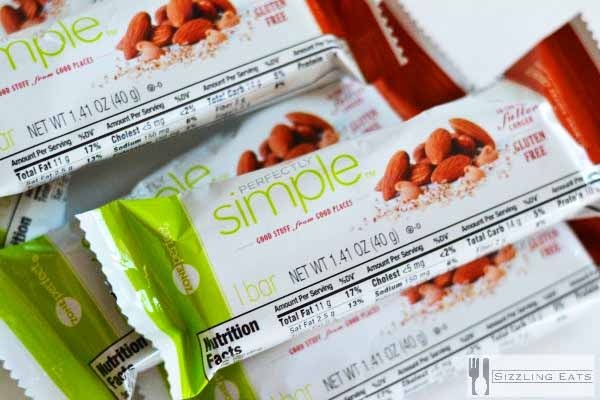 Which flavor of ZonePerfect Perfectly Simple bars would you like to try?